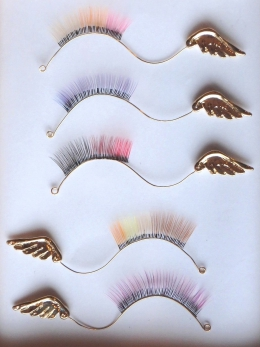 One of the more interesting microtrends I've seen crop up recently is the coloured eyelash extension trend which I have seen banging around since last year. Coloured lash extensions are the inevitable evolution of the natural-coloured lash extension, adding a little more instant-glam into your daily life with minimal effort. 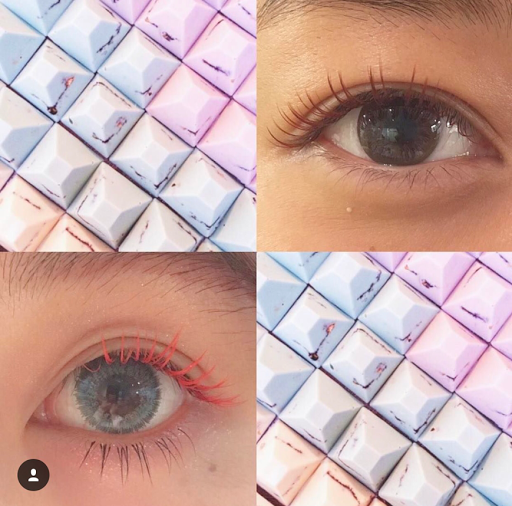 In the last couple of years, a lot of girls in Japan are beginning to choose eyelash extensions or マツエク over false lashes. There's a number of perks that come with lash extensions (minus the price tag, yikes). 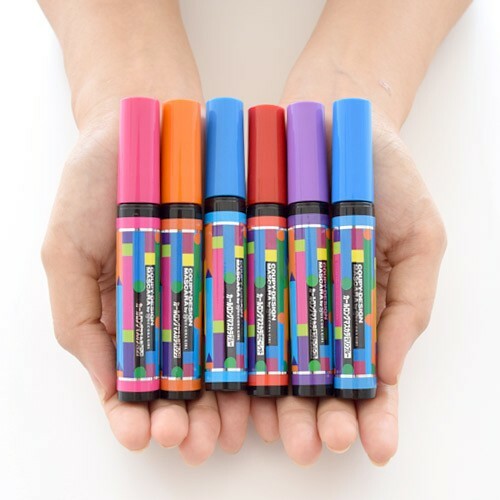 Having them means that several steps of your eye makeup routine are eliminated. You also don't have to deal with that annoying false-eyelash band that constantly comes off in the corners and looks gunky after a couple of wears. 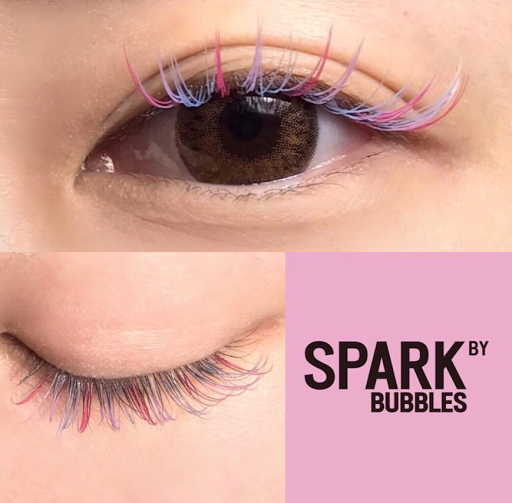 You don't have to spend 10 minutes faffing around trying to get your falsies to look even on both eyes and you don't have to worry about them melting off in the summer. An all-over colour, the upper left being in a natural medium brown colour and the bottom being a vibrant orange.. 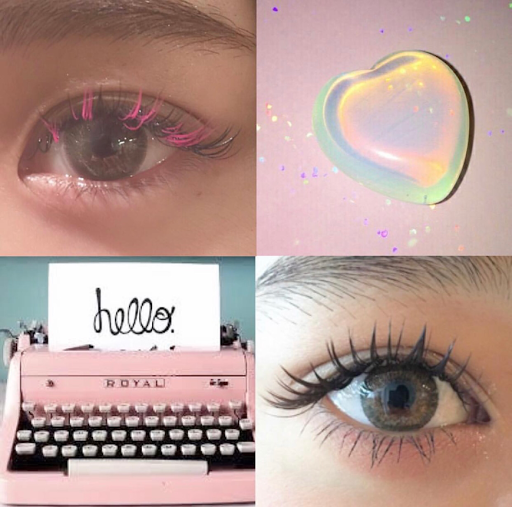 The cons of having coloured lashes, (unless you opt for a natural colour like brown or blonde)　is that you most likely can't use mascara with them as you've obviously cover up the pretty colours, but heck if your lashes are that cute, why would you want to cover them with mascara anyway! A cheaper alternative to coloured extensions would be to buy coloured mascara which has also been quite a popular micro-trend. You can pick up this Coupy Design mascara in shops like Donki, Plaza and Cosme for about ¥1600. 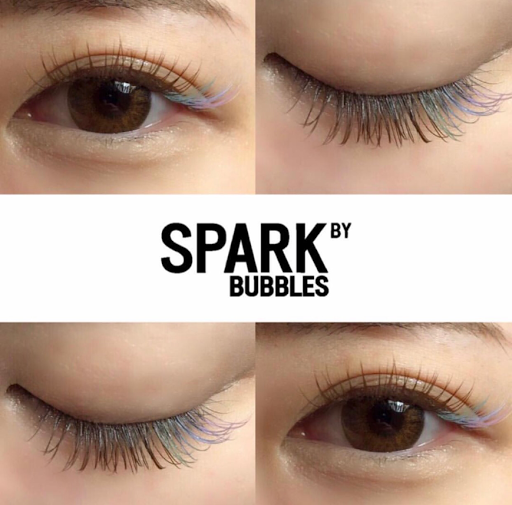 Want to get coloured lash extensions? Here's some of my Tokyo recommendations. Anyway what to you guys think? Love it? Hate it? Let us know in the comments.